Wayne Harriss is an ex-Perth-based singer-guitarist-engineer-producer-composer-draftsman. 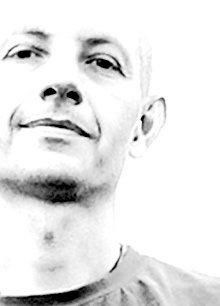 Previously a member of rock-newcountry-jazz band Resin he explores sonic worlds in his home studio. 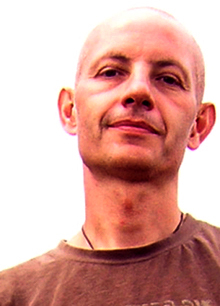 Projects include the melodic, soundscaped Aerospace, and, with Stu Medley, also a member of Resin, the collaborative dream-jazz-pop of Motor Eye. Born from a relationship breakup and its chaos, post overseas travel, Aerospace is a textural, introspective journey. 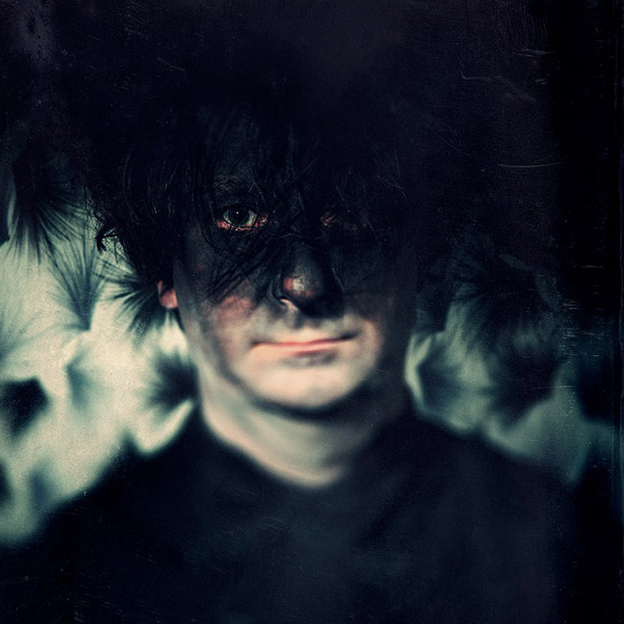 It is an album that one aurally immerses in. The whole album was an unplanned montage of musical pieces. It explores the simplicity of rich, repetitive instrumental refrains and moods, and layers them with emotive, melodic vocal lines. It doesnt try to impress the listener with clever arrangements but draws the listener. If they wish to. It is ambience without being ambient. It is an album of places and spaces. The process starts from spot-fires, overdubs are fine-tuned on the fly then submerge to the next. Colours awash, yet throughout, each sound is defined, simple, has a place. Sitting exactly placed, between exactly placed speakers, send the lights down, and dive, swim, even drown in sub-marine worlds, weightless shapes, staring at the sun from underwater. Hidden Shoal is incredibly honoured to have been selected as one of Textura’s Ten Favourite Labels of 2018. Textura is, in our opinion, the premiere new music magazine and favourite of the label team for unearthing and exposing new and exciting new music. This is the second time Hidden Shoal has been selected in Textura’s best labels list and as always we are nestled against some other very special labels, all of who you should check out. Now for a very brief and unnecessary acceptance speech – we are nothing without our incredible roster of artists, who continually amaze, inspire and surprise us. Thank you all! Three Hidden Shoal Albums in Textura’s Best of 2018! Moonchy & Tobias in HCTF Best of 2018! 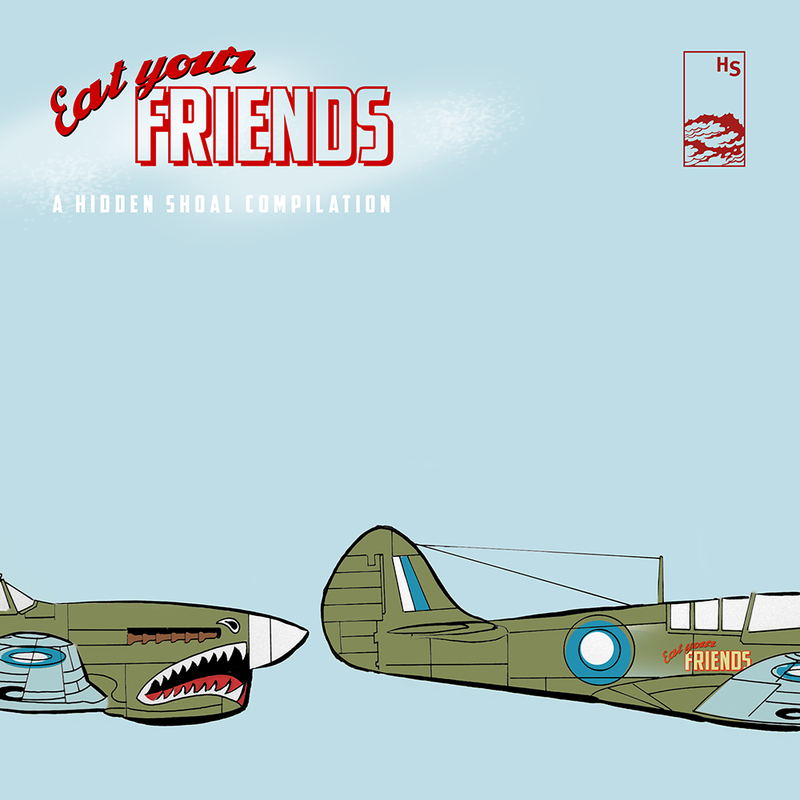 Hidden Shoal is excited to end the celebration of its 10th year of existence with the new compilation album Eat Your Friends, comprising remixes and covers of Hidden Shoal artists, by Hidden Shoal artists. This freely downloadable album not only showcases the wealth of original music released through Hidden Shoal, but also the creative ingenuity and deft musical touch of the remixers and cover artists. From searing solar-flared adaptations to delicately reconstructed covers, deep space jam reworkings, and shimmering ambient tapestries, Eat Your Friends reimagines the Hidden Shoal discography in new and beautiful ways, playing to all the strengths of the roster’s dizzying array of talent. Includes remixes and covers by: Antonymes, Arc Lab, Glanko, Wayne Harriss, Liminal Drifter, Makee, Chloe March, Markus Mehr, Erik Nilsson, REW<<, Slow Dancing Society, Tin Manzano, Willem Gator, and Zealous Chang of music by: Arc Lab, Brother Earth, Cheekbone, City of Satellites, Medard Fischer, Gilded, Glanko & Daniel Bailey, Kryshe, Memorybell, Erik Nilsson, perth, Slow Dancing Society, Tangled Star, Umpire, and Zealous Chang. Eat Your Friends is available now as a free download via Bandcamp and is also streamable via SoundCloud. Listen and then throw yourself into the wormhole as you explore the originals and more work by the remixers and cover artists. For all the filmmakers, games designers and others in need of engaging music, don’t forget that all tracks in our catalogue are available for licensing (film, tv, games, compilations etc). Glanko & Daniel Bailey’s “Isometrik Remixes” EP Out Now! Hidden Shoal is extremely excited to be celebrating its 10th birthday this month. It’s hard to believe that back in May 2006, Perth-based musicians Cam Merton, Stuart Medley and Malcolm Riddoch began Hidden Shoal Recordings as a means to put out releases by local artists. Tim Clarke, based in Melbourne, joined the team in 2007. Hidden Shoal has since gone on to become a much-loved independent label and publisher, releasing over 120 albums from a diverse range of international artists and licensing music from its catalogue across film, tv, web and compilation. Stay tuned for special anniversary announcements in the coming months! 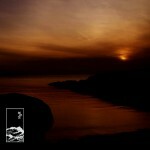 Throughout the month of May 2012, Hidden Shoal Recordings is celebrating its sixth birthday. Later in the month will be the release of the latest free sampler album, Triangulating Nature, which compiles 12 singles released over the last 12 months. Other delicious surprises will be revealed in the coming weeks, so stay tuned for more info. Since starting up in Perth, Western Australia in 2006, Hidden Shoal has developed an enviable roster of genre-defying global and local recording artists. With 40+ acts from 10+ different countries, ranging from British ambient artist Antonymes through to American musical experimentalist Todd Tobias and beyond, the committed team at Hidden Shoal continues to play an integral role in promoting exciting new independent music. Come join us and keep an eye on the Hidden Shoal Store for lots of cool special birthday deals! Head over to the wonderful Headphone Commute and check out this exclusive Hidden Shoal mix. The mix features 16 tracks lovingly curated and sequenced from the Hidden Shoal catalogue by the label’s manager Cam Merton. Stream, download, enjoy! As part of our 5th birthday celebrations, over the coming weeks we’ll be looking back at the history of Hidden Shoal, year by year, casting some light on artists and releases that may have been overlooked. 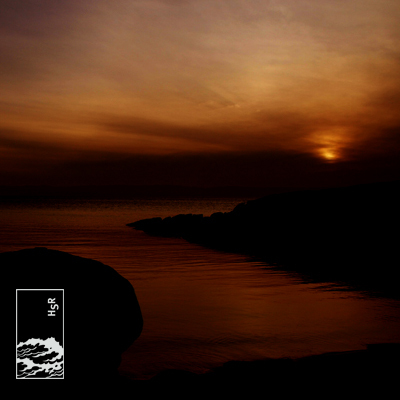 For one week, all releases from the year covered will be available from the Hidden Shoal Store with a 50% discount. Flavoursome! Hidden Shoal Recordings began in Perth, Western Australia in May 2006. The motivation behind starting the label was to release music by Hidden Shoal’s very own Cam Merton (Glassacre), Stu Medley (Motor Eye) and Mal Riddoch (Enargeia). Friends Wayne Harriss, Chris Mason, Toby Richardson and Craig Hallsworth (Tangled Star) soon came on board, with the first swathe of Hidden Shoal releases dominated by Perth-based talent. 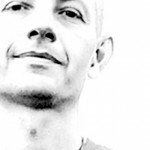 The first year of operation also saw the signing of our first international artists, Slow Dancing Society – who has since gone on to release four critically acclaimed albums– and Italian math-rockers Dilatazione. Twelve releases in the first eight months? We started as we meant to continue! Check out the latest edition of the wonderful Inside The Label show at New York’s awesome Breakthru Radio (home of the mighty DJ Mojo!). The show features an hour of tracks selected from across the Hidden Shoal catalogue. Lurvly! Crushed and Reminded takes the listener on a multi-dimensional sonic rollercoaster ride, showcasing tracks from recent 2009 HSR releases. Moving from bitcrushed remixes through cinematic instrumental rock to deliciously mellow ambient electronica, Crushed and Reminded shines a new light across the breadth and depth of the Hidden Shoal landscape. It includes stunning songs from 11 Hidden Shoal artists and bands: The Caribbean, HC-B, Sankt Otten, Hotels, Down Review, Tangled Star, Apricot Rail, Tarcutta, Sleeping Me, Elisa Luu and Jumpel. Dip in, then explore each artist’s album and EP releases to experience their full splendour. “a gripping, adventurous and touching journey across their catalogue of ambient, shoegaze, post-rock and indie-rock releases. The perfect introduction for the artists and bands, or alternatively, the perfect sampler for those who cannot decide which of these fantastic bands to pay attention to at the moment” – Post Rock Community review of Limit of Maps, volume 3 in the free sampler album series. 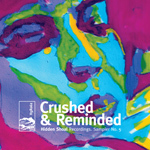 Crushed and Reminded is available for free download from the Hidden Shoal Store, along with volumes 1 to 4. Hidden Shoal is proud to announce its 3rd-birthday celebrations! With a roster of 30+ acts from 8 different countries – ranging from the epic ambient-rock cinematics of Italy’s HC-B through to the genius space-pop of one of Seattle’s bright lights, Hotels –Hidden Shoal has earned a special place in the new musical landscape. The label will host a birthday bash at the Velvet Lounge in Mt Lawley, Perth on the 13th of May. Special guest DJs will be spinning sets curated from the Hidden Shoal catalogue, including previews of some exciting upcoming releases. There will be giveaways, CDs available, and a bevy of local HSR artists to touch! The evening will also feature a special performance by the wonderful pairing of Tristen Parr (Fall Electric, Schvendes) and Stina Thomas (Fall Electric, Stina). During May the label will be running a number of promotions, including CD giveaways and HSR Store vouchers, as well as in conjunction with a number of other music sites and radio stations. Mailing list subscribers will be in for an extra special range of treats so be sure to sign up and get ready for the goods. All details will be revealed during the month, so stay tuned! Read a full press release here. Hidden Shoal Recordings today announced the release of East-West Section, the fourth volume in the label’s free sampler album series, compiling tracks from recently released albums and EPs. 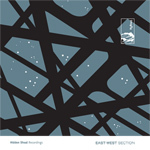 East-West Section is like a knife with ears – an audible slice through Hidden Shoal’s 2008 releases. But no blood! We’ve stitched these killer tracks into a brand new tapestry… From the delicate ambient murmur of RL/VL to the avant-pop mastery of Iretsu; the lush lounge-jazz of Rich Bennett to the sublime ambient rock of City Of Satellites; the charming electro-pop of Ghost In The Water to the addictive indie-rock of Fall Electric and The Slow Beings; and acclaimed Hidden Shoal mainstays My Majestic Star, Sankt Otten and Slow Dancing Society. This is an irresistible showcase of the breadth and depth of the Hidden Shoal catalogue. East-West Section is now available for free digital download from the HSR Store. Read a full press release here. “Over almost a decade, Hidden Shoal records developed a reputation as a consistently innovative and experimental music label, giving to us music of remarkable qualities whether it was the instrumental excursions of Gilded, the blissed-out indie of My Majestic Star, the electronica of Marcus Mehr, the alt.folk stylings of Kramies – the HSR list of significant talents was a lengthy one. I say was, as in 2014 or thereabouts, the Hidden Shoal label underwent a reorganisation of sorts, and it began to seem that one of the more influential Australian record labels of the recent past was itself going into hiding. Perhaps so, although only to return refreshed, renewed, invigorated and with its varying artistic visions intact – the Eat Your Friends compilation proves that the Hidden Shoal label is properly with us again. One thing I’ve found when reviewing compilations is that not infrequently, when I put them into my music players, the tracks separate instead of remaining in their album folder, and that has happened with my copy of Eat Your Friends, encouraging me to view each of the tracks as a single release rather than view the album itself as a cohesive whole. Then there’s the fact that only some of its contributors are already known to me and so, ditching some of my preconceptions about what it’s going to sound like, I began listening to the 11 tracks in a random sequence, and prepared for the unexpected. 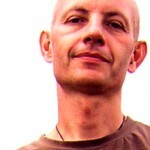 Wayne Harriss’s music is available for licensing (master & sync cleared) through Hidden Shoal. Please contact us with some basic details about your project and the track(s) you wish to use and we’ll be sure to get back to you straight away.